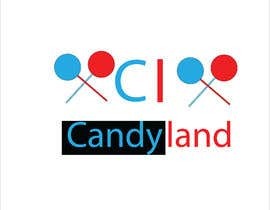 I need a sticker designed for one of my products. 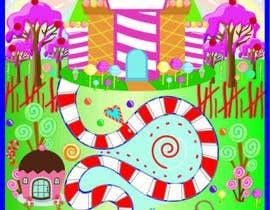 I would like th finished dimensions to be 2.5 inches wide and 4 inches tall. 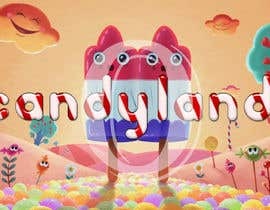 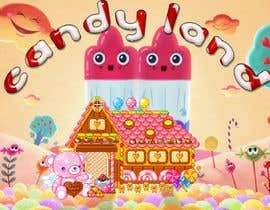 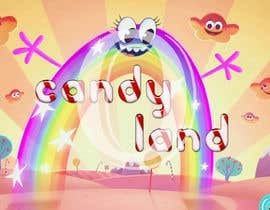 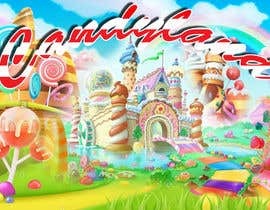 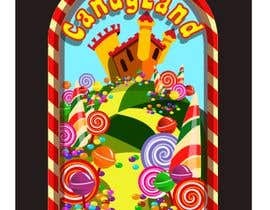 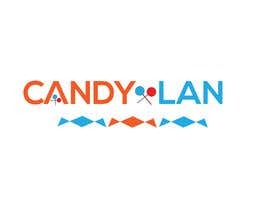 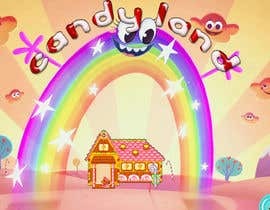 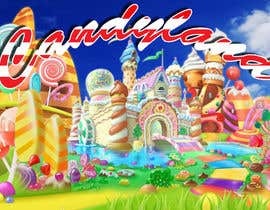 I would like the sticker to have “Candyland” written across the top in a candycane font, and arched. 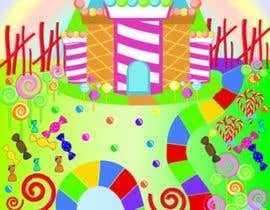 I would like there to be the board game style (from the original) pathway leading to a distant candy castle or just into the forest. 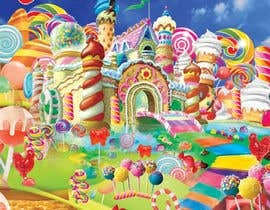 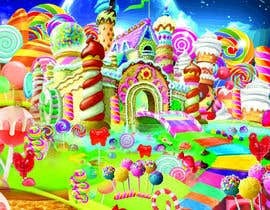 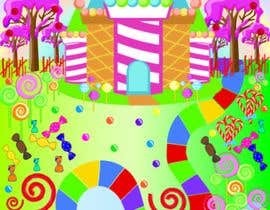 I would like the forest to border the snaking path with candycanes, lollipops, licorice, etc.